As expected, the Steelers and Le’Veon Bell did not agree to an extension before Monday’s deadline. With that, Bell’s agent Adisa Bakari says the running back is not long for Pittsburgh. The latter part of Bakari’s quote pretty much sums it up. 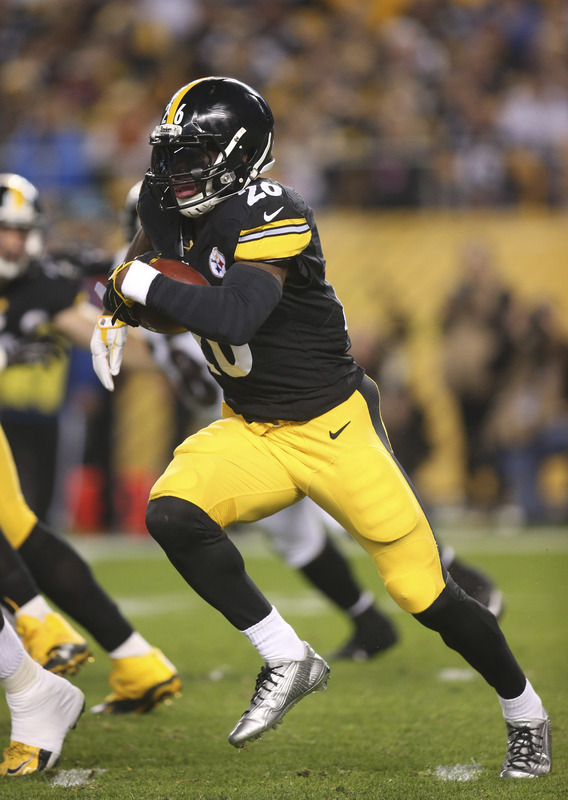 The Steelers have shown a willingness to make Bell the highest-paid running back in the NFL in terms of yearly average, but Bell has been pushing for a deal to compensate him as a world-class rusher who is also a high-end receiver. Meanwhile, he wanted a long-term deal to have more weight than the average NFL contract, which means high guarantees and heavy cash flow in the early years. At last check, the Steelers were offering Bell roughly $13.3MM per season on a multi-year extension. Bell’s camp, meanwhile, asked for $17MM per year. The two sides were talking right up until the deadline, but the gap was too large to bridge. In 2018, Bell’s $14.5MM salary will make him the top breadwinner at the running back position. However, the highest paid RB on a long-term deal is still Falcons star Devonta Freeman ($8.25MM/year). Cardinals running back David Johnson may top him with a new extension this summer, but he has less juice to work with after Bell did not reach an accord. If Bell continues to play at a high level, he’ll be in line to revolutionize the running back market next year in free agency. I see a fit with Bell in Detroit and they’re probably the team that makes the most sense for him, but Stafford definitely isn’t better than Big Ben. My probably unpopular opinion: Stafford is the NFL equivalent of Russell Westbrook…they both have big numbers on the surface, but more because of opportunity (the Lions throw it a ton and Russ just takes a ton of shots) and with not enough playoff success to show for it. Plus the NBA is a hell of a lot more star driven than the NFL. If Bell goes to the Lions, he’ll turn into Eddie Lacy. I’m sure it’s not about the money, right? Steelers in my mind are foolish not to pay this man as one of the best players in the league. Yea they want to make him the highest paid RB but he’s more than a RB and without him on the team they aren’t nearly as good as they are with him. I hope my 9ers go get him they’ll have the money. Sure every team will try to get him but I think he’s fit really well there even with the Jet just signed. Yeah and if they paid him 17mil per year, then you’d be crying in a year or so about how they overpaid him. Turns out they offered 5 years 70 mil. That’s a more than respectable offer. They were willing to pay him. Glad the Steelers didn’t budge any more. Lucky for Steelers they didnt sign him. How much more proof does everyone need that running backs hit a wall faster than anyone other position? Steelers should just look to move him if he’s going to be a headache all year and/or not report. No good RB is worth what he wants. Their shelf-life is 5-7 years tops. The Steelers want to pay the position? God forbid. Should punters get paid for punting and being a place holder on FG and XP? Should be somewhat happy he was put in a system that featured him with an OL that helps him excel. The next Demarco Murray. This is great news for the Stillers! Last year with Bell. There’s gonna be a hiccup in the transfer but Pittsburgh will come out looking savvy and sharp by letting him go sooner rather than later. Bell will get stupid money from someone else. So, everyone wins. Steelers have proven they know when to let players walk and guess what? They never produce like they did in Pittsburgh…or at least none of the guys like Holmes and Wallace.